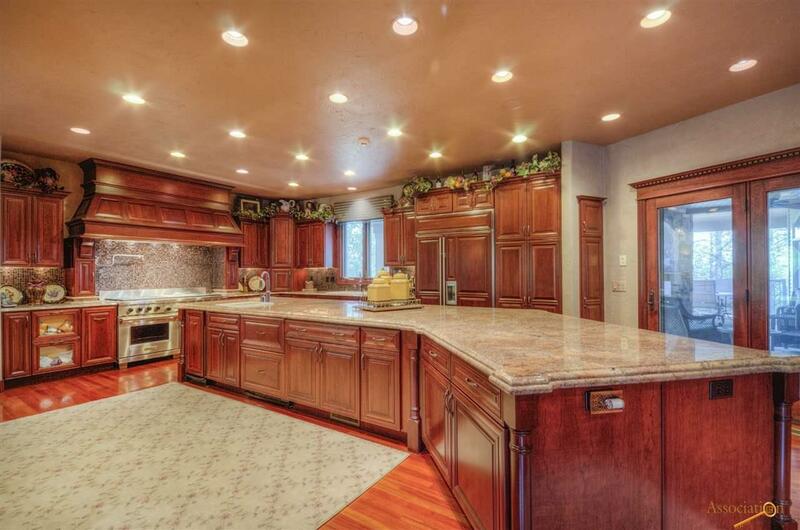 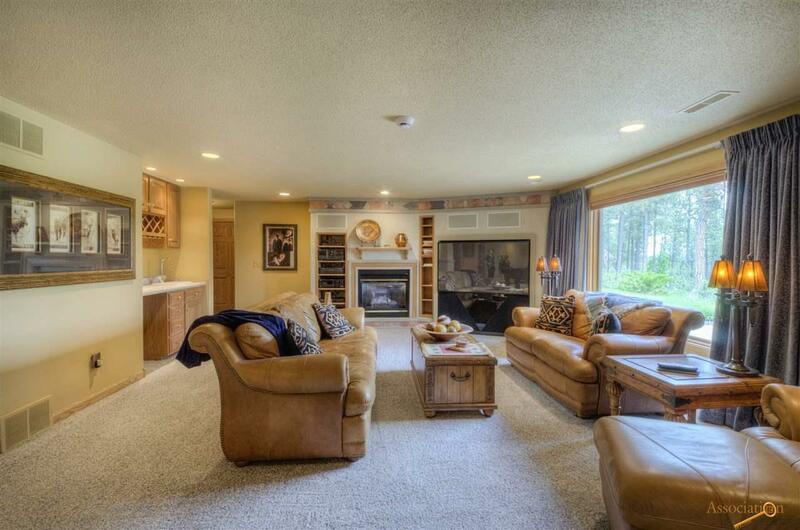 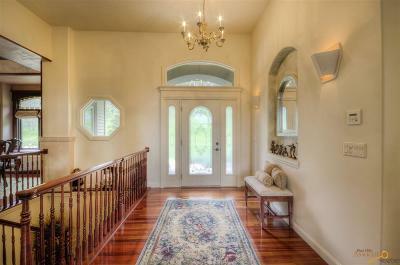 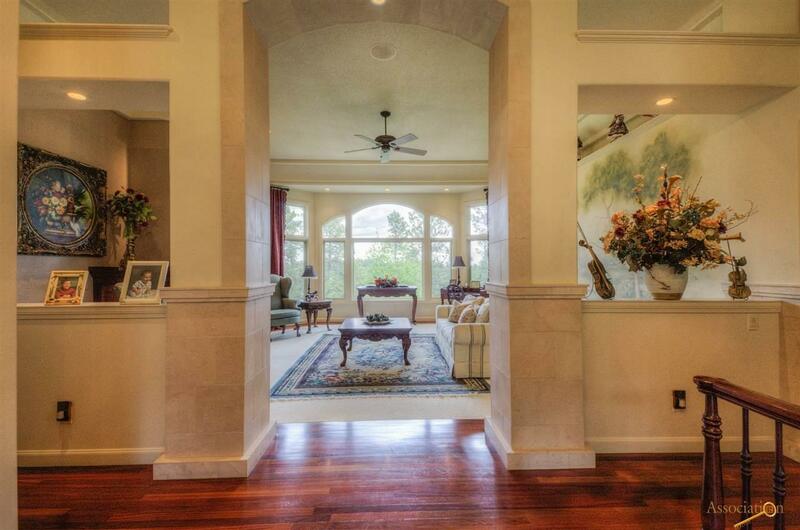 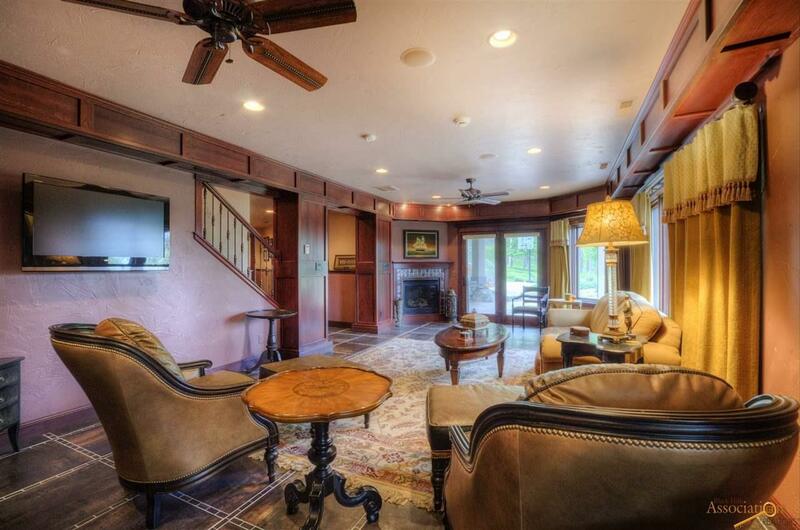 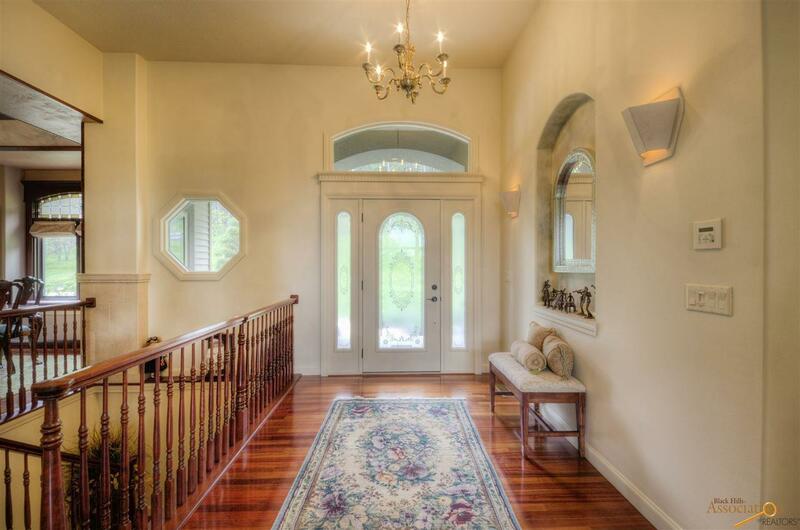 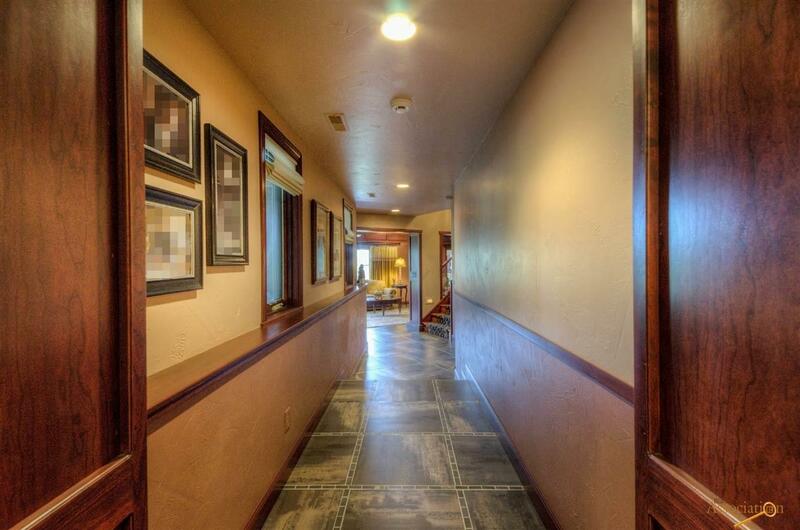 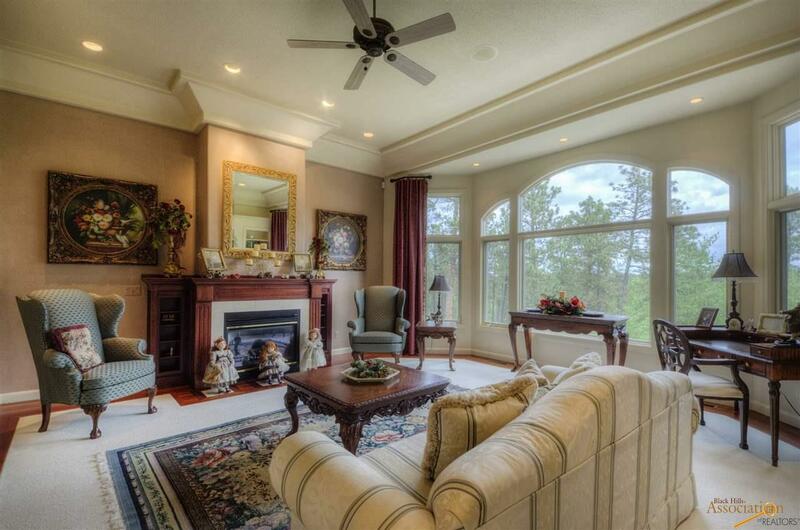 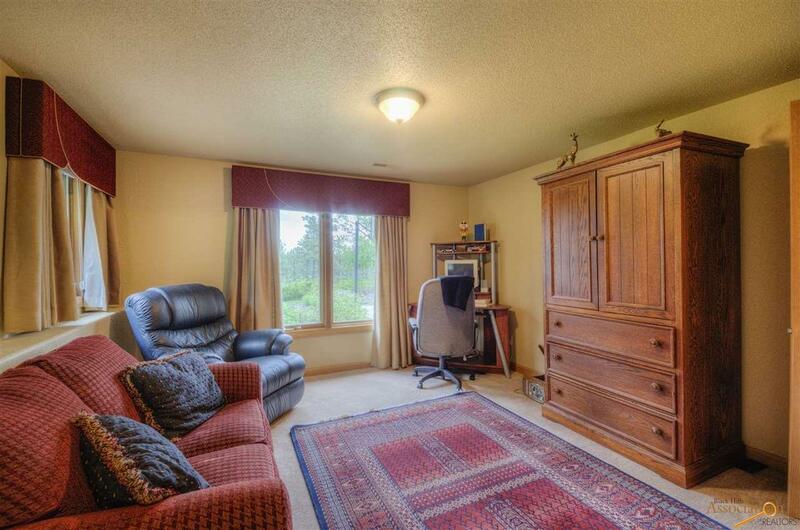 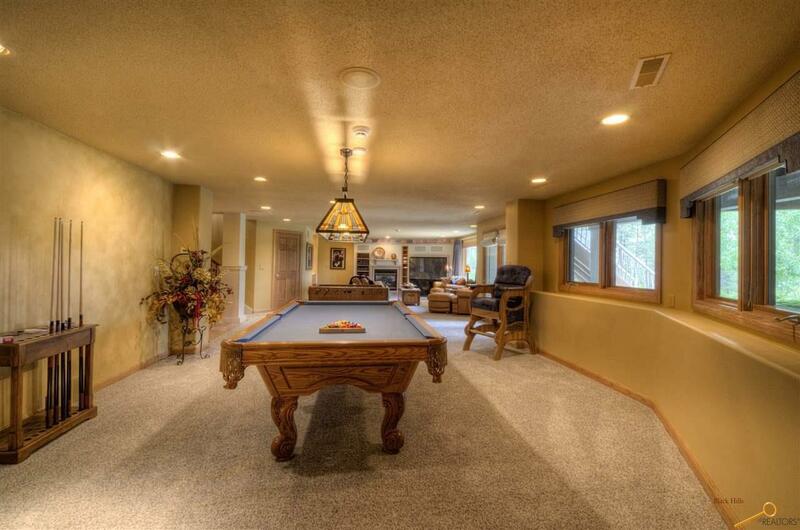 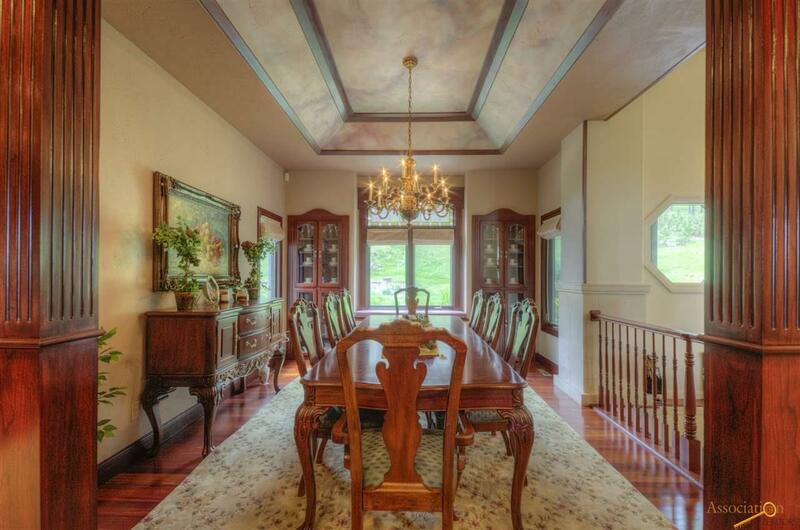 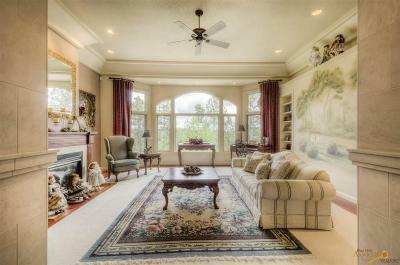 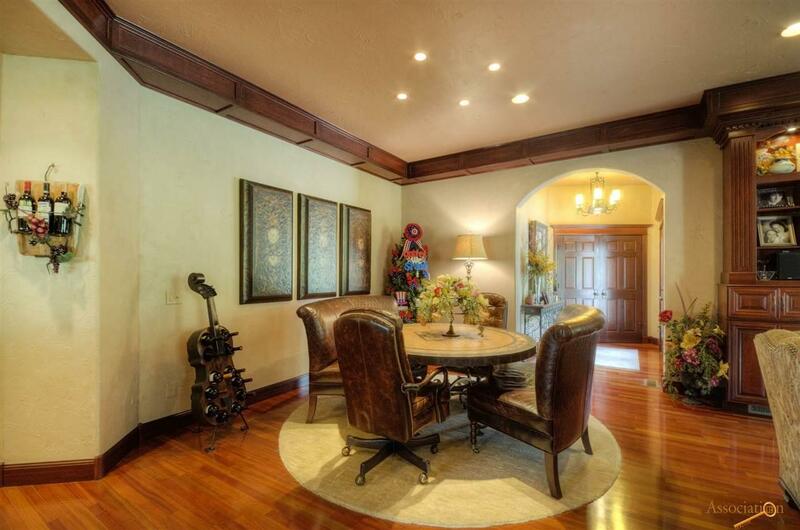 Nearly 5000 sq ft.of perfection, plus room for all your toys and pets awaits you. 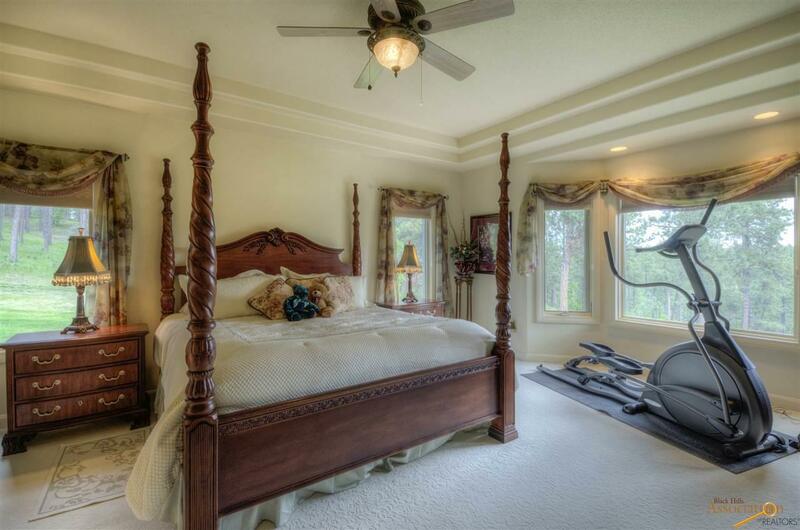 Located just 15 min. 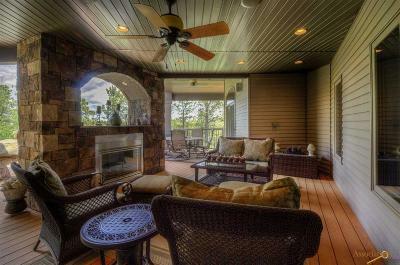 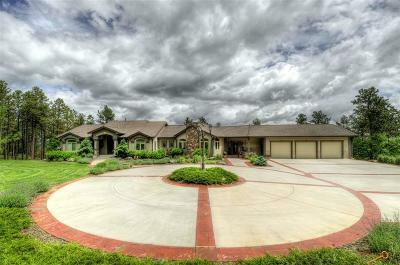 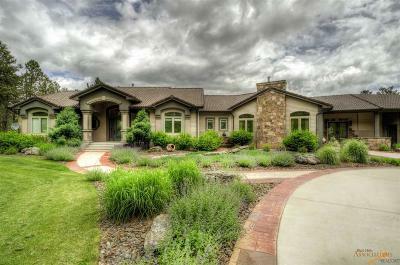 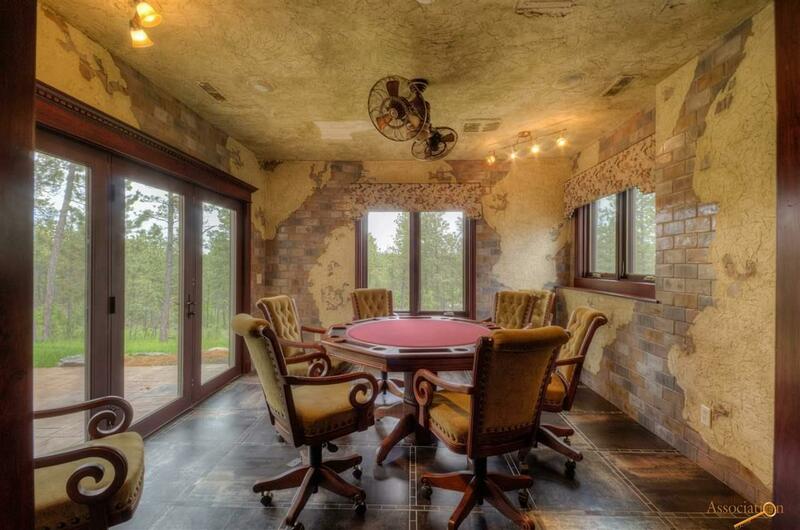 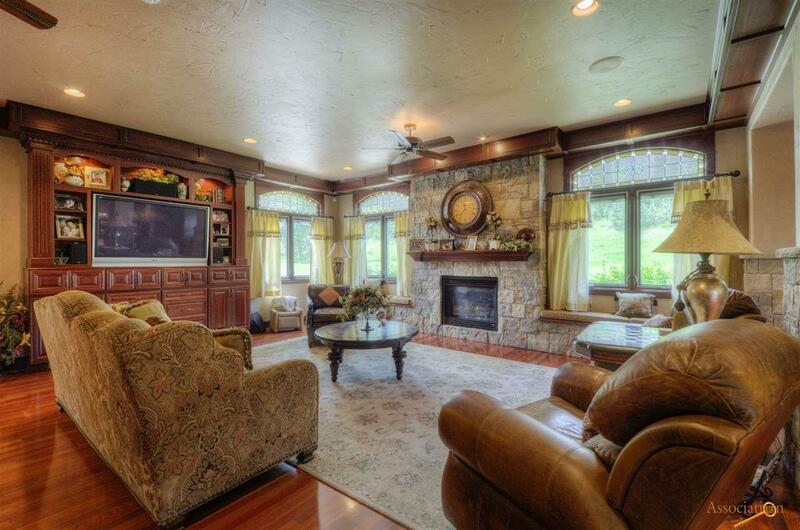 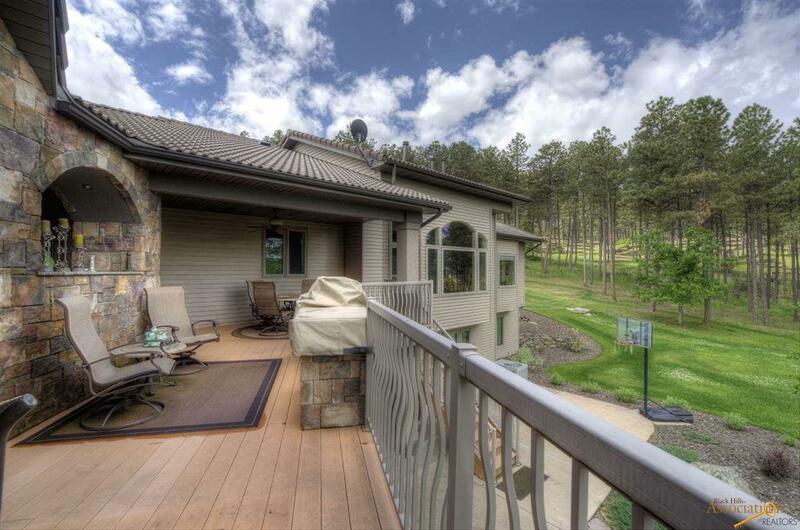 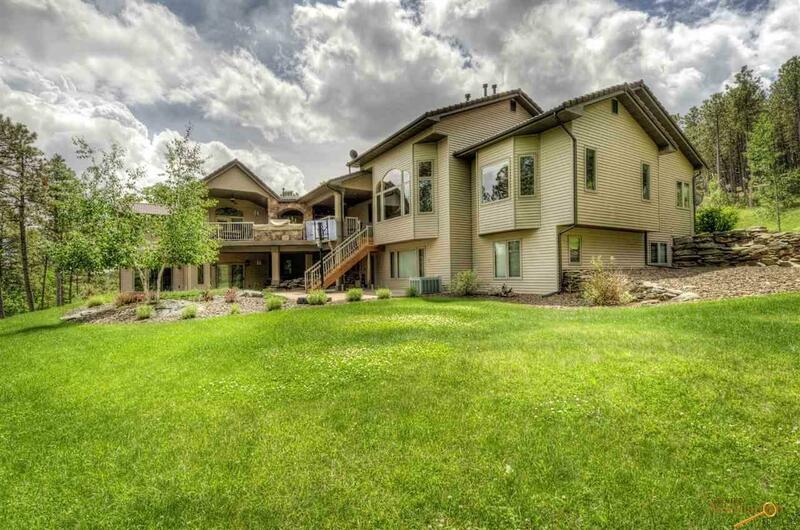 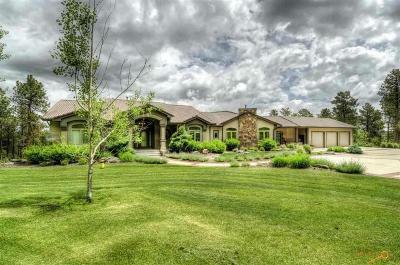 from Rapid City is this private retreat nicely tucked away on 4.7 acres in the Rockerville area. 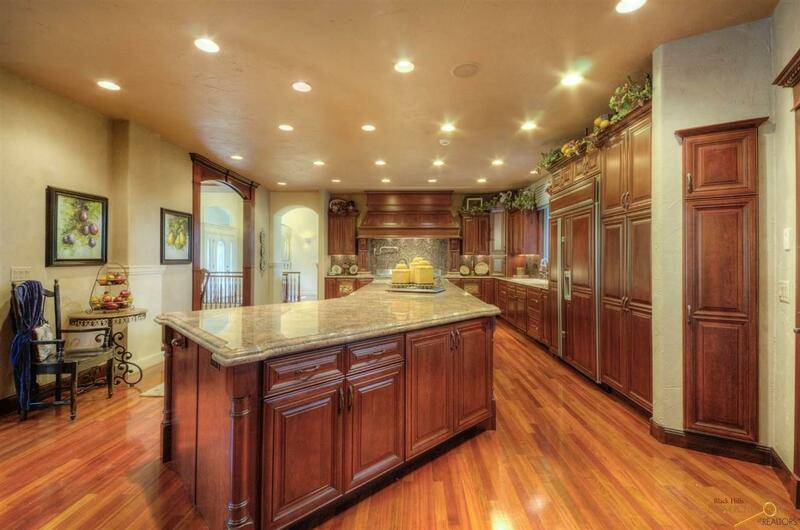 This home has too many features to mention them all, but don&apos;t miss the cherry wood kitchen with custom cabinets, granite tops, glass tile backsplash, 6 burner Wolf range with double ovens, Sub-Zero refrigerator plus frig drawers in the center island! 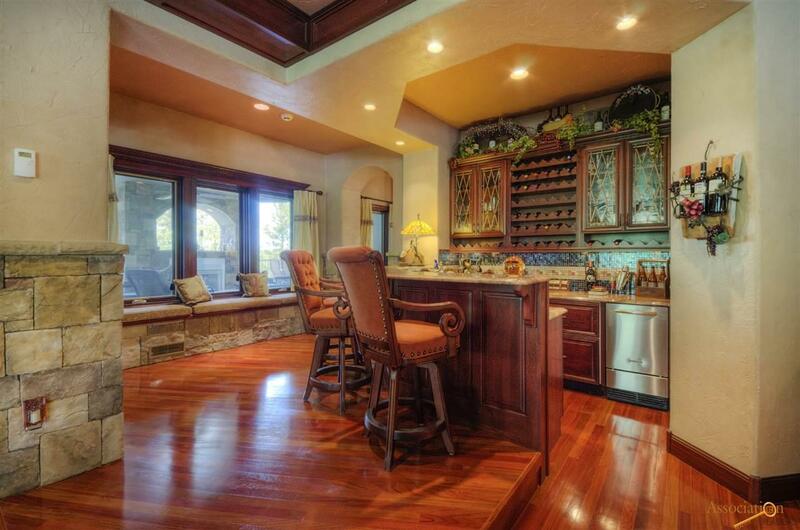 The angled center island is perfect for entertaining. 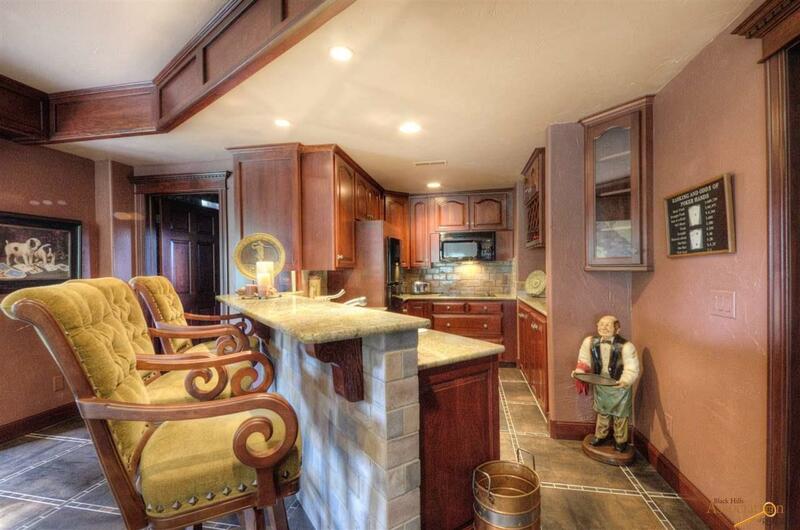 Just a few steps from the kitchen is the bar area with more custom cabinets, more granite, ice maker, wine fridge, and surrounded by bar stools. 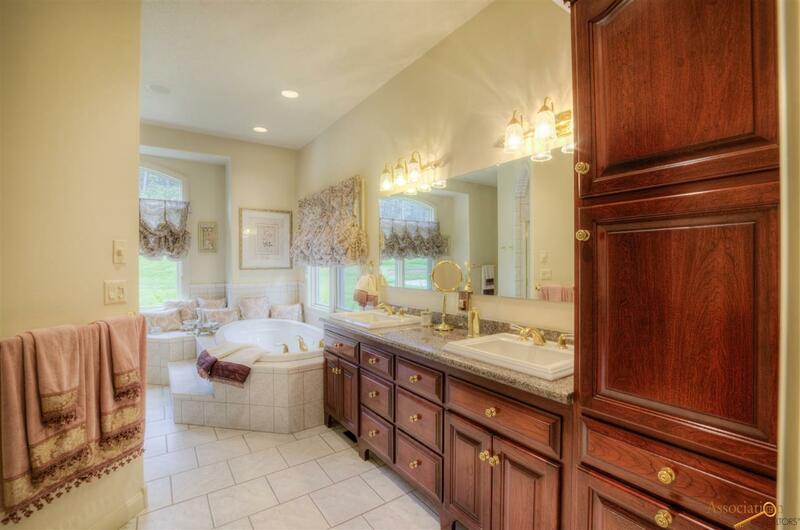 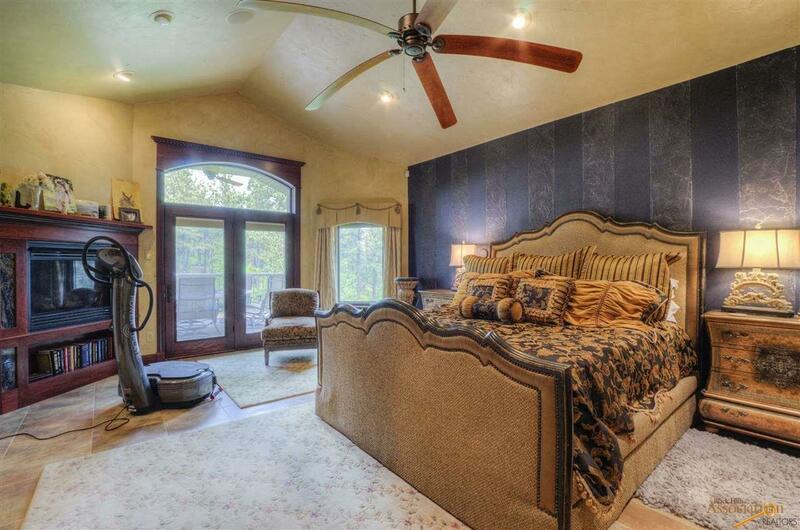 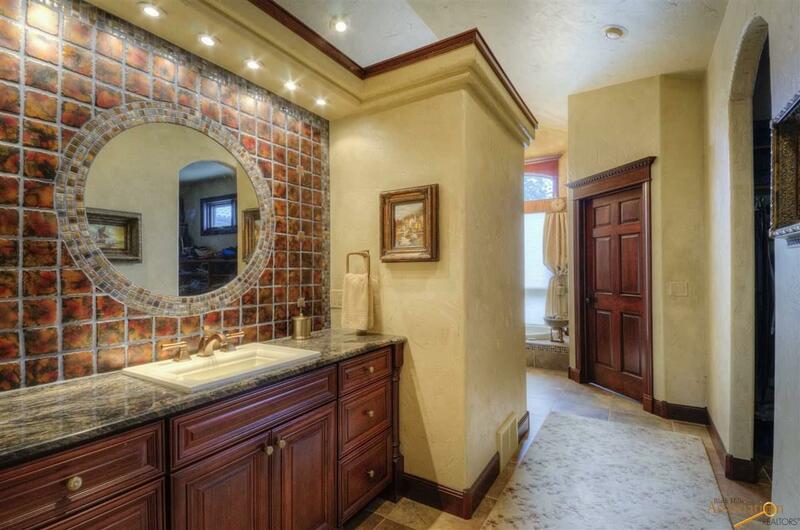 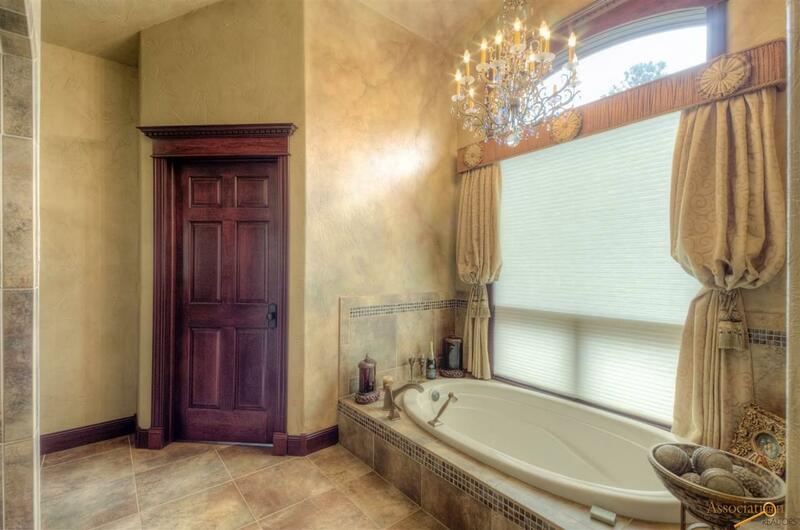 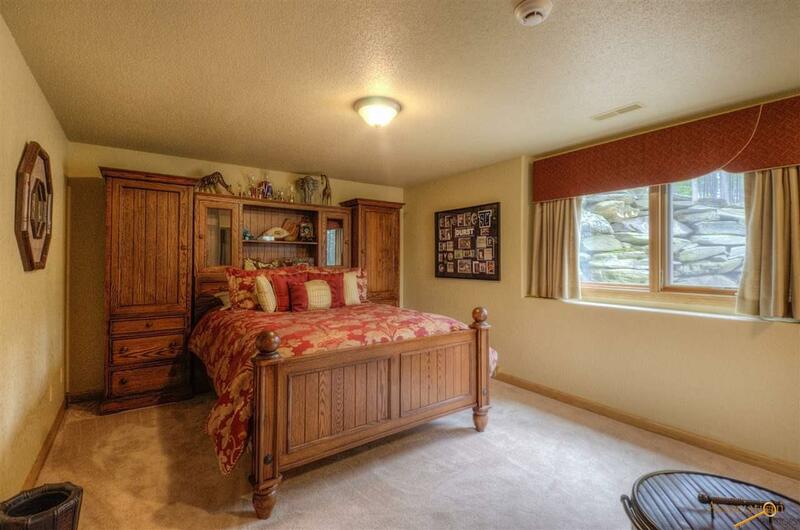 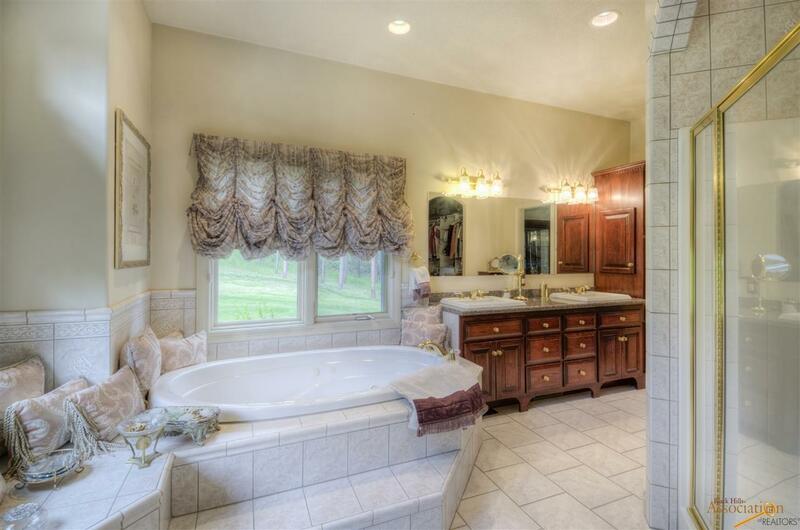 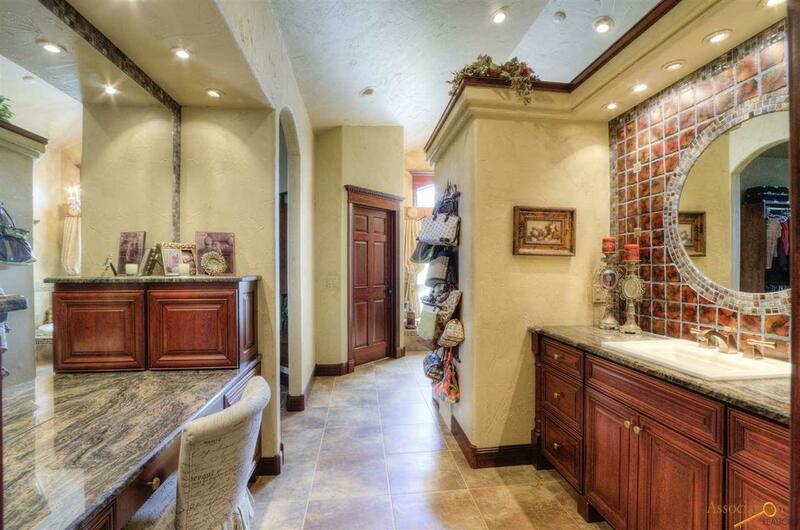 Master suite is located on the main level and has "his" and "hers" dressing areas, vanities and water closets. 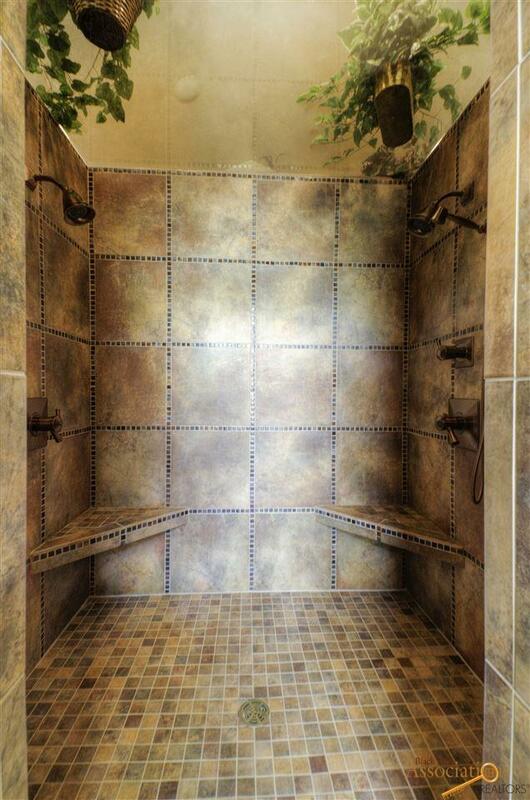 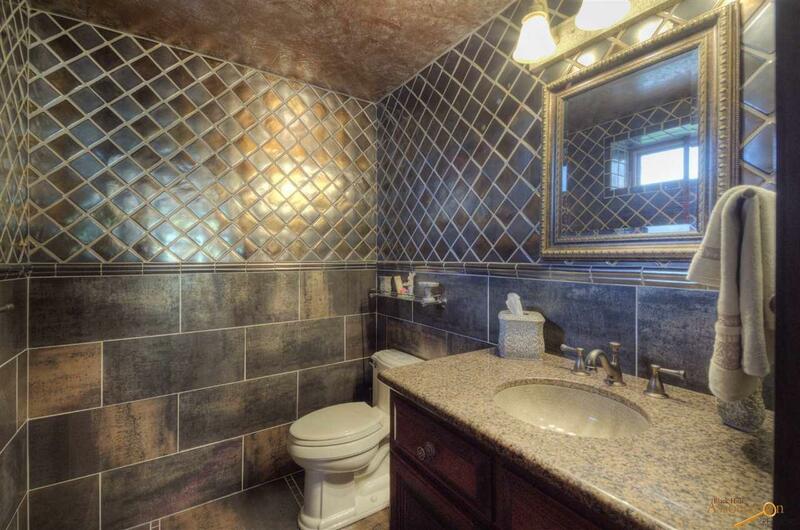 Double shower, jet tub, and of course surround sound.